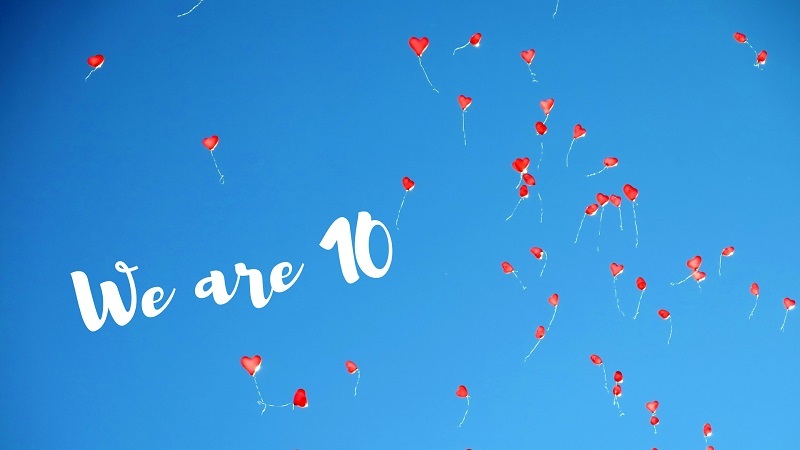 Pinpoint is celebrating 10 years of support to Cambridgeshire parent carers who have children and young people with additional needs and disability – informing, involving and empowering them and giving them a say in how SEND services in the county are commissioned and run. We set up in 2008 and became a registered charity in 2014. It has been quite a journey with highs and lows along the way. Here we asked all four of our past and present CEOs to take a look back … and to our future. Pinpoint founder Lynn Powell is delighted to see her “baby” become a tweenager. 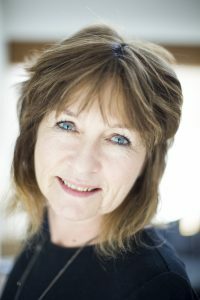 Edinburgh-based Lynn now runs a creative workshop business in the city. “As I sat at my kitchen table in Hemingford Grey 10 years ago, I didn’t realise I’d be doodling the beginnings of a network of parents and carers that would still be going strong in 2018. But I’m so very happy that it is. “I’d just finished working at the Parent Partnership Service. I was aware of the struggles parents faced when trying to get the best possible support for their children and, as a worker, I’d experienced the frustrations of limited budgets and ever-changing government priorities and policies. “As a mum I felt that the system was setting parents and paid workers against each other, rather than bringing us together. Too often parent participation felt like more of a box ticking exercise than something that was making a real difference at either an individual or service planning level. And I’m not really the box-ticking type. 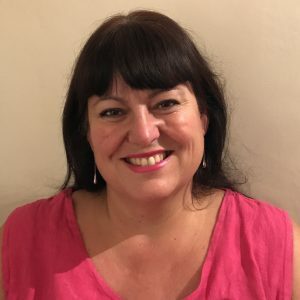 So Lynn started planning an organisation that was led by parents for parents: a network for sharing impartial information and gathering a wide range of parents’ views. And that’s where the name Pinpoint came from: parent information point and parental involvement network. Lynn successfully applied for a small amount of funding through Cambridgeshire organisation Young Lives to engage parents in decision-making. And was introduced to Juliet Snell who had been commissioned to establish a county-wide voluntary sector engagement network. The pair – still firm friends 10 years on – started a working partnership that led to Pinpoint being represented on education, health, social care, mental health and voluntary sector decision-making groups across Cambridgeshire. They were then commissioned to carry out county-wide research into parents’ support needs and to write a parent support strategy. The research findings were shared widely within Cambridgeshire, and used by Commissioners to help develop parent support services and parent participation across the county. “As with most growing community-led voluntary organisations, securing ongoing funding to be able to employ paid staff was the main challenge. By then the government had acknowledged the need for a National Network of Parent Carer Forums (NNPCF), and locally Commissioners from disabled children’s services, transition, education, parent support and health services decided to co-fund a county-wide network of parent carers. This was Pinpoint’s opportunity. “We became Cambridgeshire’s representative on the NNPCF and applied to run Cambridgeshire’s parent carer network. But with no management and financial structures in place to submit a bid on our own, Young Lives acted as our parent body. The bid was successful,and Pinpoint now had the money it needed to grow. “We also secured further funding from the government’s‘Timely Information to Citizens’ project in a joint bid with the County’s parent information service. This allowed us to engage families in designing a new Pinpoint website, and to develop new partnerships within the local authority, and with larger charities like The Papworth Trust, where the new website was launched. “We had grown quickly from kitchen table musings into an organisation with over £100k worth of funded projects to deliver. It was both fantastic, and scary. And it also meant I became a paid worker so had to step down from the Management Group. Finding people who had the time, energy and passion to establish Pinpoint as a charitable organisation in its own right was key, but proved quite challenging. “Sadly before this work was completed, but following a second successful round of bidding, our parent body Young Lives went into liquidation taking the money from the new Pinpoint contracts with them. These were tough and emotional times for the Pinpoint team, and for me personally – especially as it coincided with me moving to Scotland and handing over the reins. “But five years on – thanks to a Pinpoint team that didn’t give up easily, a re-invigorated Pinpoint board, supportive commissioners and partners, and loyal members of the parent carer network – Pinpoint is still going strong! “And that moves me on nicely to what I’m most proud of: the people who make up the Pinpoint network. 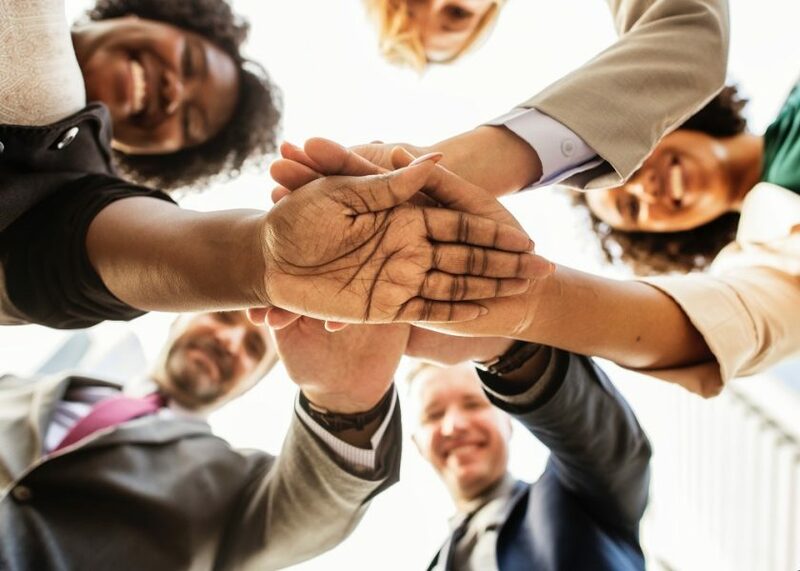 The parents and carers who – despite their personal challenges –continue to attend the networking meetings, represent Pinpoint at meetings, and take on paid and unpaid roles within the Pinpoint team. “I’m delighted to see three very familiar trustee faces who have been with Pinpoint right from those early kitchen table days: Christine, Linda and Richard. 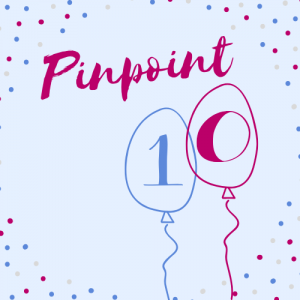 Others like Lenja and Juliet have since moved on but played a key part in ensuring Pinpoint is here today, and able to celebrate its 10th birthday. “Shortly after I started, our umbrella organisation, Young Lives, went into liquidation leaving us with the huge challenge but great opportunity of becoming a charity in our own right. “I was lucky enough to have a fantastic team of staff and volunteers who worked so hard to set Pinpoint on a new course. The trustees also worked really hard to put into place all the documentation needed for us to become a charity, we learnt something new on a daily basis. We also received great support from the parent carers who stuck with us through the transformation process and from our funders. “After many weeks of meeting round dining tables at our homes, storing materials and running network meetings from our spare rooms we finally moved into our new little office. I remember that day so well – taking box after box up many flights of stairs up to the top floor of the [Carers Trust Cambridgeshire] building but feeling a massive sense of satisfaction and pride that we had achieved so much in such a short space of time. “The thing I enjoyed most about my time at Pinpoint was the opportunity to work with such inspirational people. The network meetings in particular allowed me to meet so many fabulous, knowledgeable, committed parent carers who contributed so much to change processes, influence service delivery and to challenge and inform professionals. The passion and energy was amazing and I loved the meetings and also seeing the changes being put into place as a result of the feedback. 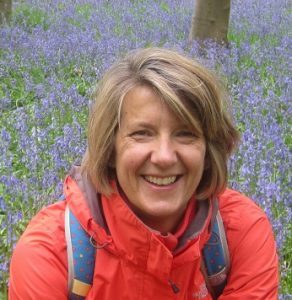 “I took over as CEO from Liz in Oct 2014, after an eventful year and Pinpoint becoming an independent charity. Having been involved with Pinpoint since 2007, I understood its vision and inner workings. “When I stepped down as CEO, I felt that I had taken Pinpoint forward by putting in place operational systems and building a strong staff team. “Finding sources of funding in the future will always a be challenge, as for any small charity. I learned a lot, especially about operational, financial and personnel management. The team kept me going when the challenges were great. Their dedication and compassion were always a source of great support. “I’ve been CEO now for a year, having first known Pinpoint as a parent. Never did I imagine when I came to a conference in 2015 that I would join the Pinpoint team. Our focus has been on securing our financial future and our ability to make changes for families through policy and service delivery. Notable successes have seen changes to Cambridgeshire’s ECHP Assessment Guidance which should make the process work better, and a commitment from the Statutory Assessment Team to meet half termly to resolve issues. “We have finally seen a draft SEND Strategy emerge for Cambridgeshire and Peterborough and are about to start work on the action plan to make it a reality. We are working with CAMHS (Child and Adolescent Mental Health Services) , the Clinical Commissioning Group (health) and the Local Authority on a revised mental health offer and seeking to resolve the delivery issues. Our future plans are ambitious but deliverable, according to Sarah. “Pinpoint’s Strategic Plan is focusing our energy and giving us a clear direction. It will see us move into new areas of work and address the challenges of a growing Cambridgeshire population and increasing demands on inevitably-stretched services. But we like a challenge and we are passionate about what we do!